This post has affiliate links. Please read full disclosure for info. To learn more about how you can make money as an affiliate - click here. n this online course platform review I review main marketplaces and hosted solutions based on my years of experience as an online instructor. Online courses are one of the best ways to generate passive income online. In order to sell online courses, you need to select Online Course Platform that hosts and delivers your course effectively. I have tried and tested all of the leading marketplace and hosting platforms. So check out my list and sign up with one that fits in best with your business. I am able to offer a partner/affiliate discount/offer for a few of the options below, so don’t forget to take full advantage of it. 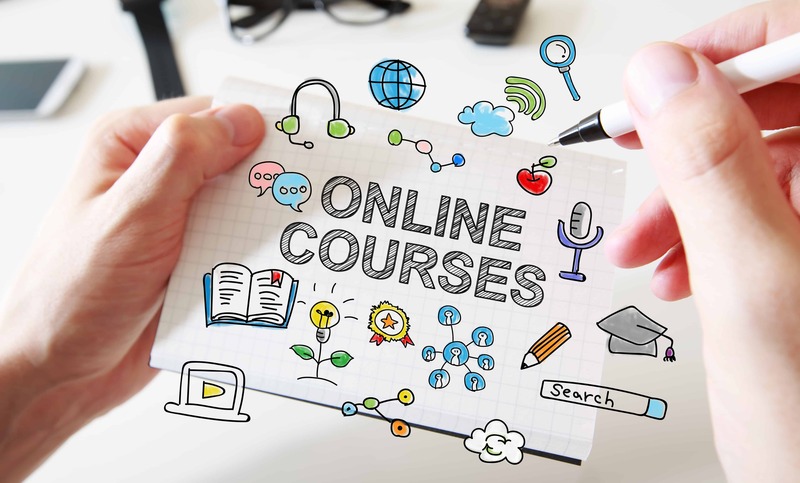 Here is an overview of all available online course platforms for you to sell your online course. 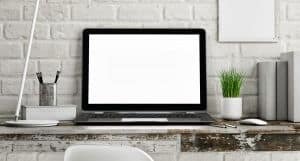 "Get the Blueprint to Creating and Selling a Successful Online Course in 2019"
There are two ways you can start selling online courses: use an online marketplace or host your own courses. The biggest difference between the two options is in the area of marketing of your courses. If you use a marketplace, you may make sales without having to spend a single minute on marketing, but you will also have to share a big portion of your profits. I'll talk more about this later though, let's get to the platforms. I'll start with the leading marketplace options where I have direct experience. When you host your courses on a marketplace, you are able to tap into their existing client base. You upload videos, add sales page text and you are pretty much ready to go. You can make sales on the first day without having to market your course at all. The main upside of using a marketplace is the ease of getting started and running your courses. They host your courses, they market your courses and they handle all customer support activities. This leaves you with the responsibility of only creating the course! 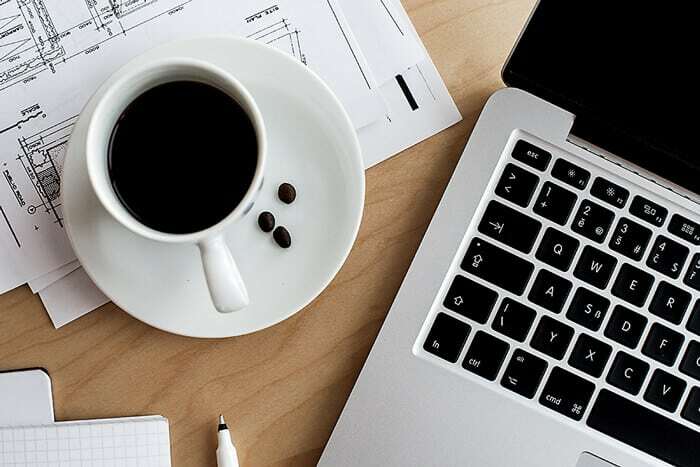 The downside of using a marketplace is they also take a big cut from your profits for handling all of the heavy marketing work for you, This amount can reach up to and over 50%. They also may force you into a marketing calendar and a variety of discounts of their choosing. Changes can be frequent on these platforms, so you may suddenly face a pricing revision or other types of changes across the platform. Largest course marketplace in the world with millions of students. If you have creative / design courses, Skillshare is best choice. World's largest e-commerce site with tens of millions of credit cards ready on file. Udemy is an online course marketplace with a whopping 65,000 courses on the platform along with millions of active students. It is by far that largest online course marketplace in the world in terms of number of courses and number of students. Udemy is where many online instructors get their business started. With millions of students already signed up, it is an easy way to start selling your online courses. Udemy is great for both B2B and B2C courses. They also have a Udemy for Business section which allows selected course creators to market to businesses. IT courses and business courses are the most popular categories on Udemy. Having said that, you will find the platform offers courses on nearly any topic you can think of! I have been an instructor on Udemy since 2016 and over time I've hosted 8 courses on the platform. Udemy is how I got started selling online courses. As of this year, 2018, I have decided to leave Udemy and set my courses as private on the platform. This decision is based on a number of factors but it shouldn't stop you from using the platform, especially if you are fairly new to course creation. Udemy was a great platform to help me get started. I also hosted the courses on my site all along and never drove any outside traffic to Udemy. I primarily used the platform for their internal traffic - and did pretty well doing so! So now I am taking what I have learned over the past couple of years and focusing on marketing my own courses. Udemy is fantastic way to get started selling online courses. With their internal marketing team, you can literally make money while you sleep. All you have to do is create your course, upload it on Udemy and write some compelling sales text. At this point you are ready to go.! Go for it! it is an easy way to get your first sales online. Use Udemy for market research! Better to host courses elsewhere but use Udemy as a traffic generator. Host a teaser course on the platform and then drive traffic to your premium course. Skillshare is another online course marketplace where many instructors start. Skillshare has 3 million students learning anything from logo creation and business strategy to design and development and more. Skillshare has a totally different business model from Udemy's single course pricing. On Skillshare students pay an annual fee and have access to all courses on the platform. Skillshare favors shorter courses so you could split a longer courses into multiple mini-courses. The most popular courses on Skillshare are in the creative field. It is a great option for painters, copywriters, designers, etc. I joined Skillshare after Udemy and found it a great way to get extra income from my courses. Having said that, I never thought it would become my main site to sell courses because of their pricing structure. You can earn only so much no matter how great your course is. Your course income is based on minutes watched and a large number of students will just sign up to a course and never watch it. I also found Skillshare's payment structure change from number of students to number of minutes watched to be quite abrupt. I still have some courses on the platform but I rarely log in to the platform because the income I get is fairly small. My recommendation for Skillshare is pretty much same as Udemy with one exception: if you are in any creative related field then Skillshare is perfect fit! Go for it! Easy way to get your first sales online. Use Skillshare for market research! Better to host courses elsewhere but use Skillshare as a traffic generator. Host a teaser course on the platform and then drive traffic to your premium course. You can pretty much sell anything on Amazon now and this also includes online courses. Amazon opened their video direct option over a year ago. This allows people to purchase online video courses on the platform. Amazon is not really known for video courses yet, so you will need to take some responsibility for marketing. I do not have personal experience selling on Amazon even though I have an account there. I had problems uploading subtitles which were not accepted by Amazon no matter what I did. So it can be frustrating, but I do know some course creators who have earned income this way. If you are already selling on Amazon - with books, for example - uploading a video course is a natural extension to your existing account. Amazon is not known as an online course platform, so expect to do quite a bit of heavy lifting in terms of marketing. Competition is stiff on Amazon but the upside is they offer millions and millions of potential clients with long term relationships with Amazon. You may want to host your mini-course on Amazon and then drive traffic to your premium course hosted elsewhere. A course hosting platform allows you to set up and deliver your online course. 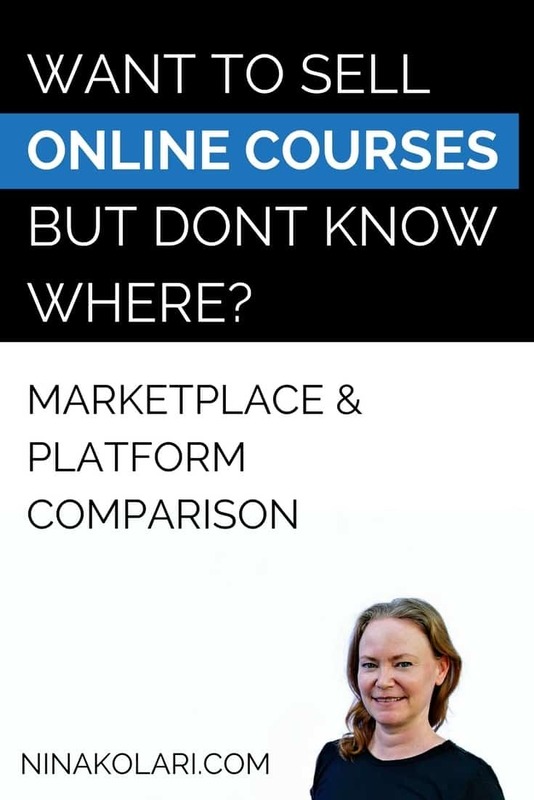 The biggest difference from an online course marketplace is that a course platform does not handle any of the marketing for you. They are only set up to effectively host and deliver it for you. Why should you use a course platform when you could just upload videos to your WordPress site? WordPress is a content management software and was not built for online courses. When you use a dedicated course platform, you get the best possible hosting and student experience for your students. Yes, these are usually paid services but on many of them you are able to get started for free as well. I also looked into WordPress + a plugin option when I created my first online course but pretty quickly decided against it. I am not a coder and I realized I definitely did not want to be responsible for any security breaches. I highly recommend staying away from the WP+Plugin option unless you are a coder and/or you have a WP professional on call. Website hackings happen all the time and this can create havoc on your online course business. Superb upsales and customizable check out process! Superb customer support that goes the extra mile! 2-step minimalistic checkout means more "ka-ching" for you! Teachable is one of the largest online course platforms available and, if you ask me, it is one of the best as well. You can host an online course with Teachable and also create a membership site. You have a few options about how to run your Teachable school and the good news is you are able to start absolutely free! Once your school grows you can upgrade your account to a paid option to get better customization and results. I've seen some complaints about slowness of customer support - my experience has always been good though. There are few reasons why I chose Teachable as my online course host. Firstly, they have superb customer support (even for free account), great user interface for students and instructors, possibility to translate complete platform fairly easily, fantastic upsell opportunities and check out options without having to purchase external shopping cart, affiliate program and more. Yes I am biased but I have also tested all platforms and in my experience it is the check-out process that really kills your sales! Click here to check out Teachable's pricing in detail. If you would like to see my free workshop on how you can sell more with a better checkout experience, click here. Teachable is an awesome option if you want smooth course experience both for you as an instructor as well as for your students. Their upselling and check out customizations are incredible - do take full advantage of these! If you do not want to worry about payments and setting up Stripe, Teachable's two lower tiers are great options. In both the free and $39 / month options, Teachable handles all payments for you. The downside of this is that you need to wait 30+ days to get your funds but they also handle EU VAT for you. Read my platform comparison here. You can start with a free but I do recommend spending $9 to get premium options such as the affiliate program. Sign up for Teachable to sell your courses with zero worries! Both the instructor and student experiences are beautifully designed and really user friendly. Monthly fee pays back very quickly! Thinkific is a Canadian start up with highly-regarded customer support and active Instructor's Facebook Group. They currently have over 25,000 instructors in 164 countries. Many big name course instructors host their courses on Thinkific. Thinkific's CEO and founder Greg Smith is an online instructor himself and started Thinkific with Matt Smith, Miranda Lievers, and Matt Payne after not being able to find suitable software for courses. Thinkific has three fundamentals: Complete Control, Better Learning and Scalable Business. Thinkific's payments are handled by you. They do not process any payments for you, which means you are in charge from Day 1. This includes refunds if you allow refunds, but this aspect can be handled quite easily on Stripe. Click here to check out Thinkific's pricing in details. Thinkific was the first course platform I signed up with. At that time I needed a Linkedin Integration and Thinkific was the only one offering it at the time. They also have incredible, still do by the way, customer support and I learned so much what I know today from using Thinkific. Thinkific is great option to host online courses. If you are looking for solid Stripe integration, smooth interface and great support in your instructor journey go with Thinkific. They have active and supportive Facebook group as well. You can start with a free but I do recommend spending $49 / month to get premium options such as affiliate program. Sign up for Thinkific to sell your courses with zero worries! Both the instructor and student experiences are beautifully designed and really user friendly. Monthly fee pays it back very quickly! Podia differs slightly from Teachable and Thinkific as you can also sell digital downloads with Podia. Sure you can create a course on Teachable and Thinkific and just add your book as single lecture but that is not a great option in the long run. The Podia platform integrates this download capability effectively, so you should consider Podia if you also sell other digital products (books, planners, printables etc.). Along with selling digital products you also get powerful email marketing with Podia. On the higher tier plan you can also create a membership site and offer an affiliate program for your products. Click here to check out Podia's pricing in details. You can get FREE TRIAL without credit card! What I really like about Podia is their incredibly smooth and simple 2-step buying process. It really makes a difference on your bank account. A smoother and quicker checkout process can increase your conversion 12%! If I was not already heavily invested into Teachable, I would likely sign up with Podia. the checkout process is just so good - it only asks for an email address and credit card number - reducing customer cart abandonment drastically. If you also have other digital products such as books, printables, checklists, etc., then Podia is an awesome way to go. The small monthly fee gets paid back very quickly with less cart abandonment with Podia's checkout. If you also have other digital products such as books, printables, checklists, etc., then Podia is an awesome way to go. The small monthly fee gets paid back very quickly with less cart abandonment with Podia's checkout. If you are already signed up with other platform, Podia offers free migration on the $79 / tier! or host on your own at a Course Platform or both? Wow! This is just the kind of course hosting comparison that I needed! I am about to write our first course and was overwhelmed by the number of options. Your post helps cut through that confusion. I now have some options and some things to consider. Thanks for sharing. While I have yet to finish any of the courses I started drafting, I think I will start out modestly and use it as a way to bolster my email list (which was my first impetus for creating one). When I do decide to go beyond that, I will certainly revisit this post. Thanks for sharing your wisdom.